I always love a good party invitation. Well, really I love any invitation to party. Don't you? It's fun to get together with friends, enjoy some good food, and feast on the excellent conversation that always seems to unfold. So if you're looking for an excuse to party, this pretty little printable is here to help! The other night while Bryan was studying I was fooling around with some design schemes on PicMonkey. (RIP, Picnik.) It's delightfully easy to use. And I'm not being paid to say that. I've just used the site a number of times now and I like it. Though I am anxiously awaiting the arrival of their collage options. Definitely the editing tool I've been missing most since Picnik bit the dust. But anyway. Most of the designs I did the other night were for fun little printable note cards. I'll try and get those up to share with you all soon, but I haven't taken the time to format them and get them PDF-ready yet. So for now I'm just sharing this little invitation. 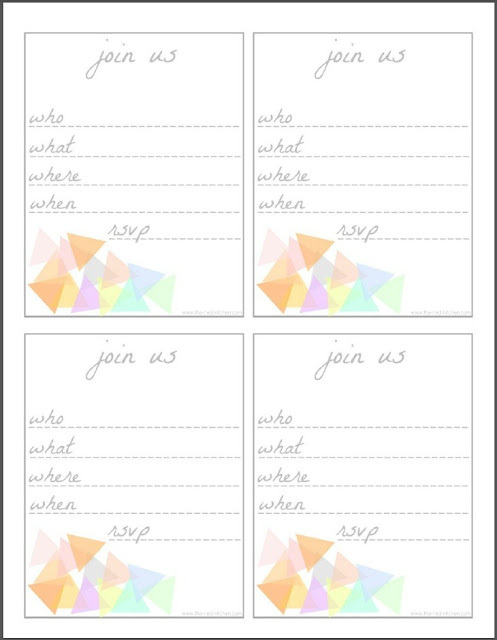 I really love how all of the designs turned out, but this little gem-colored triangle motif was one of my favorites, so I also transformed it into these simple, pretty, universal invitations. Fun, no? And you can't beat the price! I always love me a good free printable. Get the free printable after jump! 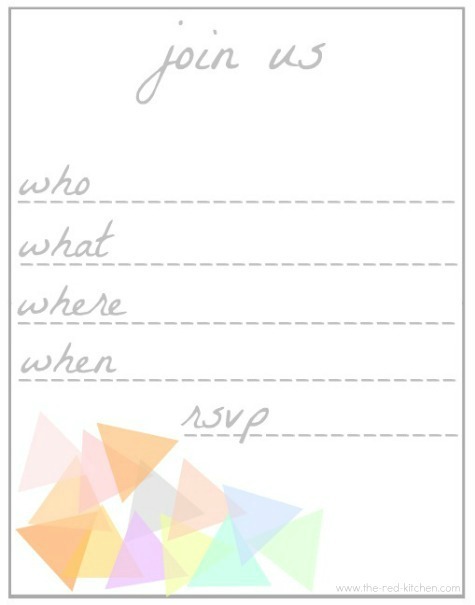 Click HERE or on the image above to view and print these fun invitations. Enjoy! Wish I had these last week when I was doing a bunch of invites for a bridal shower. These are much cuter than the ones I used. What comes after part B?